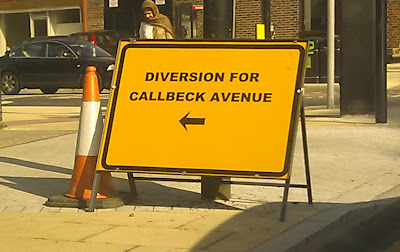 "Surely a basic skill for the person responsible for making these signs is spelling and accuracy. These people should be ashamed of themselves." "Does the Council actually know the names of the roads in this part of the Borough? Having said that this spelling problem is nothing new. Is it only me or has anybody else noticed the signage above Ryan Gate? Have a look next time you're stuck in the queue." "I was walking through Worcester Park yesterday, looking for a different supermarket to shop at, when I stumbled on this sign. To be honest I'm less worried about the spelling error and more concerned about my stubbed toe".